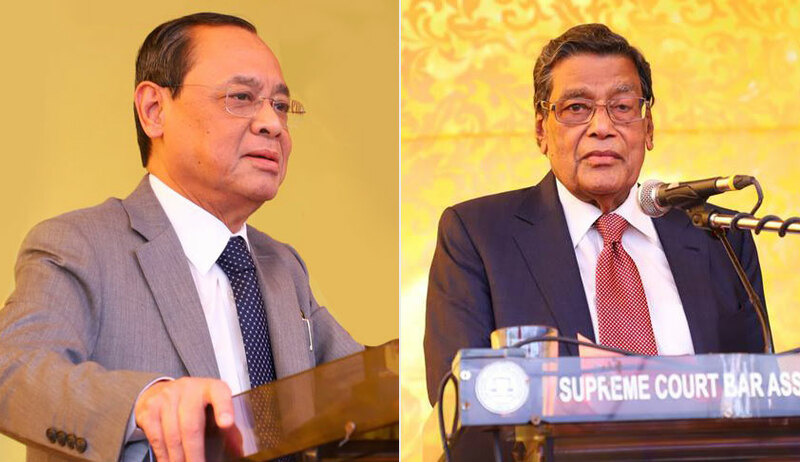 Attorney General K. K. Venugopal on Monday expressed his dissatisfaction with the approach of the Supreme Court bench headed by Chief Justice Ranjan Gogoi of peremptorily dismissing petitions without according an adequate opportunity of hearing. “Clients come from far away, from thousands of miles away. They stand at the back and look at this court....as their counsel stands and you say, ‘dismissed!’....This is not the way....Your Lordships have to hear completely! Please see the other courts....”, advanced the AG. “Okay....We take what you are saying in proper spirit....please argue....”, allowed Chief Justice Gogoi. The facts of the case are that a SLP of the year 2015 is pending before the Supreme Court where the petitioner has challenged the Constitutional validity of Entry Tax Act and the demand raised under its provisions by the Commercial Taxes Department of the state of Rajasthan. The Apex Court had in January, 2015 granted a stay on 50% of the demand on the condition that the balance 50% has to be deposited along with a further amount of Bank Guarantee. Accordingly, M/S Bharti Hexacom Ltd., the petitioner, had complied with the same. To the surprise of petitioner, the Assistant Commissioner, Commercial Taxes Department had issued orders levying interest on the amount deposited as per the condition of the stay order of the Supreme Court, inspite of the fact that the matter is sub judice and pending before the Top Court. A division bench of the Rajasthan High Court had on July 3 allowed the appeal and noted that the interest of the period during which stay was granted cannot be levied. The bench of the Chief Justice and Justice S. K. Kaul was hearing the SLP preferred by the state of Rajasthan against this order. “Please do not assume that we are not listening....we have done our reading”, assured the Chief Justice. “If Your Lordships had read it, you would have admitted it (the matter) straight away! It involves public money!”, responded the AG vehemently. “Why are Your Lordships so reluctant in dealing with a matter of such importance? It involves the state’s revenue”, pressed the AG passionately. “Don’t issue notice, just keep the SLP pending”, he urged, to which the bench agreed.